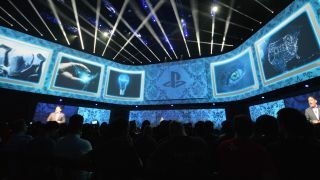 Sony enters E3 2016 in an enviable position; the PS4 has a commanding lead amongst consoles, Uncharted 4 recently released to rave reviews and Sony itself has proven adept at giving the fans what they want at the year's biggest game conference this generation. The usual lineup of big games just won't do this year, though. To steal the show, Sony will have to perform a pretty tough juggling act. There's preparing PlayStation VR for a successful launch, properly following up on its megaton announcements from last year and revealing a new slate of big PS4 games for those who don't buy virtual reality. Let's start with the biggest task at hand: PlayStation VR. At $399 (£349, AU$549, the headset is going to be an extremely tough sell – despite the internet's infatuation with headset tech. Even though PSVR has been on display at many big game shows, the core issue of conveying this unique technology has not gotten any easier. On top of PlayStation VR, Sony will likely have to counter a potential Xbox One upgrade with one of it's own. That's not to say that it's impossible. The Nintendo 3DS eventually caught on – even though it's very much a "you have to see it in person" device. But, Sony needs to try extra hard in this regard due to its spotty track record for releasing underwhelming accessories, like the PlayStation Eye and PlayStation Move. The best way to make PlayStation VR pop is providing a killer app. The PlayStation Move was doomed from the get-go, due to a lack of big games at launch (and much of what was there was "me too" software, rehashing Wii ideas four years later). But, what franchises would work in VR? Do people want an Uncharted where you can't see Nathan Drake or a Sly Cooper through the eyes of the sneaky raccoon? Is there a certain first-person shooter of Sony's that can buoy the tech? On top of PlayStation VR, Sony will likely have to counter a potential Xbox One upgrade with one of it's own. Adding fresh technology, like 4K support and backwards compatibility, are key (especially if Sony can offer its full slate of PS3 games to counter the Xbox One's piecemeal strategy). But, the tougher road to hoe is showcasing the upgraded console's – currently dubbed the PS4.5 – PlayStation VR benefits without ostracizing the millions of gamers who have already purchased a PS4 and don't plan on swapping their console for a newer model. Then there's the "big three" from last year's Sony press conference. There may never be a trio of high-profile surprises on par with The Last Guardian's gameplay reveal, the Final Fantasy VII re-release announcement and Shenmue III's Kickstarter campaign. While their reveals were epic, it's time to see what a year's progress looks like for each project. Specifically, The Last Guardian should be playable to the E3-going public, and FF7 should have some sort of extended (and nostalgia-inducing) gameplay section played during the presser. Finally, Shenmue III needs some sort of reveal that the thousands of Kickstarter backers haven't seen already. The law of diminishing returns indicates that these returnees won't get the same reaction they got last year, but the bigger crime would be to omit them altogether. The Last Guardian, Final Fantasy VII's remake and Shenmue III were what (arguably) won E3 for Sony last year. The PlayStation 4 has two-and-a-half years of dominance under its belt, with first-party Game of the Year contenders Uncharted 4 and Bloodborne capturing the attention of the gaming public this year and last, respectively. However, the second half won't be as easy for Sony. While Microsoft still has some silver bullets in Gears of War and Crackdown, there aren't many PlayStation properties that can match the name recognition of Microsoft's that haven't recently released on the PS4.